Get Out The House vol.2 created especially for Sylenth is now available online. Following the same format as its little brother GOTH V.1 it comes as a simple but powerful preset pack. Jackin House to Bassline and most other Bass driven electronic music! 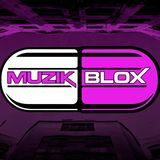 This pack is great for beginner's to help evolve, grow and build their sound designing experience, with that in mind BASS HOUSE BLOX also provides solid foundations for more experienced music producer's to manipulate these sounds to create their own signature!